Andrew Fulmer scored two goals, John Graham scored a goal and had two assists, and Kingsmen goalie Evan Mercurio got to play in the field and scored as the Penn Kingsmen blasted past Bremen, 10-0, in Northern Indiana Conference high school boys soccer action on Tuesday, Sept. 20. Graham and Fulmer teamed up to put the Kingsmen on the board six minutes into the contest. Graham dribbled down the line and placed a perfect pass to Fulmer for the finish. Graham played another assist, this one to Jackson Hopkins, who found the back of the net for a 2-0 Kingsmen lead in the eighth minute. Graham then scored a goal off of a Riley Smith assist in the 11th minute. Penn made it 4-0 in the 19th minute when Zack Lopez played a clean pass to Aron Janko, who smashed a shot into the roof of the net. Niklas Aurin blasted a shot for a goal in the 24th minute, Jack Demske picking up the assist. Fulmer’s second goal was eight minutes into the second half. Riley Smith earned the assist. Mercurio, the multi-talented Penn goalie, scored when he was switched into playing in the field. 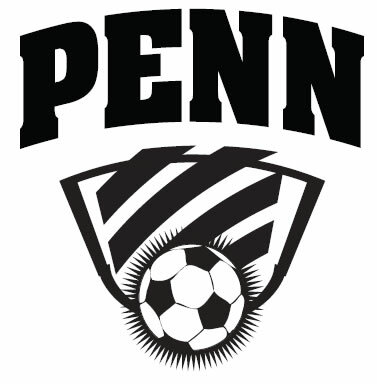 Daniel Gries had the assist as Penn’s lead grew to 7-0. Ryan Hague scored off of an assist by Aron Janko for an 8-0 Penn lead in the 68th minute. Riley Smith delivered a dagger that sliced into the side netting. Ivan Gomez picked up the assist and it was 9-0 Kingsmen in the 79th minute. Sammy Atkins completed the Kingsmen scoring with a stellar strike off of a Micah Craig corner in the 78th minute.